Looking To Upgrade Your Water Heater? We offer rental water heaters at a cheaper price than our competitors, and we can prove it. Guaranteed we’re not the only water heating company here in Southern Ontario, but that’s a good thing. Competition brings about cheaper prices for consumers. Its fast and simple to Google anything, you can have 10+ companies vying for your business in a single search. We hope you choose us to be one of the few that get an opportunity to offer you a quote. There is a good chance you have a reliance water heater and you have chosen to rent your system. We offer identical rental water heaters at a reduced cost as well as the new tankless systems. Your conventional tank type Reliance water heater in the the basement or closet is always running, while you sleep, work, go on vacation, etc. 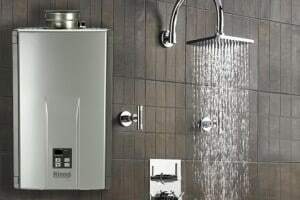 A tankless water heater is an on demand system. That mean the moment you want hot water it turns on until the moment you shut off your tap; it only runs when you need hot water and is completely shut off at all other times. A Tankless water heater is super efficient as well, up into the high 95 percent plus range. The conventional tank you rent from Reliance is probably only 50 percent efficient at best. It may be time to move your rental Reliance water heater over to us and get an ultra efficient tankless system at nearly the same price your paying to rent you inefficient model. Reliance has no contracts and no penalties to leave so switching is an easy process. Give us a call today to discuss your opportunity to get a rental tankless water heater.